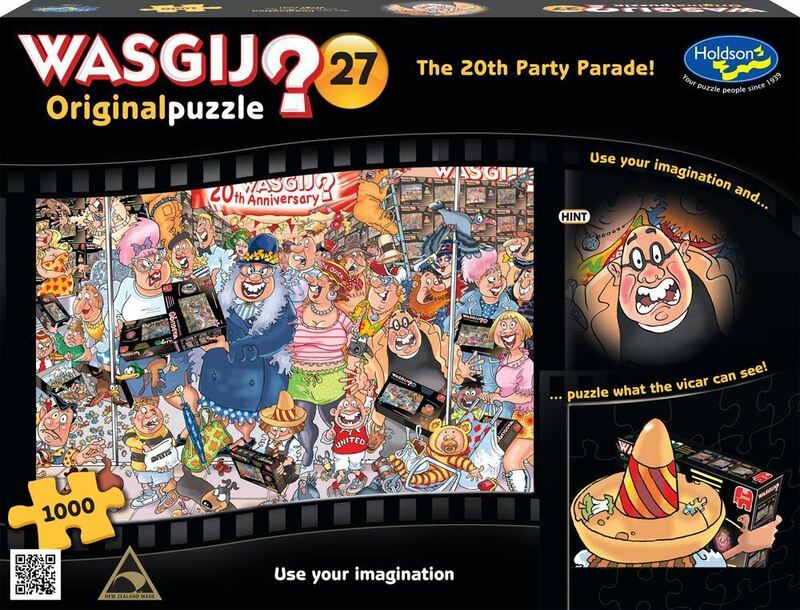 The crowds of familiar-faced fans have all rushed out to buy the special edition Wasgij jigsaw puzzle! While everyone scrambles to grab their favourite Wasgij puzzles, something has caught their eye outside of the store. Who or what could be outside of the shop to make so many Wasgij fans so delighted? Try to imagine you are the Vicar in the black top and piece together what he can see. The puzzle holds the answer! The picture on the box lid is not the puzzle; it is simply a clue to what the puzzle is! Age 8+ years. Made In New Zealand by Holdson. Approximate puzzle dimensions: 688mm x 493mm. Box size: 270mm x 370mm.